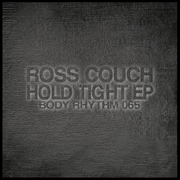 Ross Couch – Hold Me Tight EP – Body Rhythm 065: Out Now! ‘Hold Me Tight EP’ is my latest offering on Body Rhythm and it’s just landed on Traxsource today where it’ll remain on promo until the official release on 11th November. The release comes hot on the heels of a series of successful tracks for me on Traxsource’s Soulful House chart including ‘Somebody Like You’ (No.4), ‘Still In Love’ (No.3) and ‘When The Sky falls’ (No.11), so my fingers are crossed that the trend continues!